Neil Frederiksen N.D., D.B.M., D.Hom., D.Nut., D.Rem. Ther. M.A.H.A., M.A.R.O.H., M.A.T.M.S. Clinic founder and principal Neil Frederiksen is a well known Sydney Naturopath, Homeopath, (Homoeopath), Herbalist, Nutritionist, Remedial Massage Therapist, Alternative, Complementary and Holistic Health Practitioner now into 29 years of practice. now known as The Australian Homeopathic Association. Previously, he taught Homeopathy (Homoeopathy) at Nature Care College in Sydney. He has also studied drug and alcohol use. Neil has been a voluntary helper with The Cancer Information Support Society in Sydney. He does continuing education and regularly updates his skills. He is passionate about helping people overcome their health problems and reach their optimal level of health. He is very approachable and is happy to discuss your particular condition or health goals. We have been providing natural health, alternative and complementary health solutions to the communities of Chatswood Sydney NSW, North Sydney, Milsons Point, Kirribilli, McMahons Point, Northern Suburbs of Sydney, St Leonards, Crows Nest, Artarmon, Waverton, Wollstonecraft, Gore Hill, Greenwich, Cammeray, Naremburn, Northbridge, Castle Cove, Castlecrag, Willoughby, Lane Cove, Longueville, North Shore Sydney NSW, Roseville, Gordon, Lindfield, Killara, Pymble, St Ives, Turramurra, Wahroonga, Waitara, Warrawee, Hornsby, Mt Colah, Normanhurst, Parramatta, Epping, Ryde, Eastwood, Carlingford, Macquarie Park, Macquarie Centre, Marsfield, Castle Hill, Five Dock, Hunters Hill, Woolwich, Gladesville, Putney, Meadowbank, Lower and Upper North Shore Sydney, Cremorne, Mosman, Neutral Bay. Other areas include Sydney Beaches, Sydney Northern Beaches, Pittwater, Avalon Sydney, Newport, Bilgola, Clareville, Mona Vale, Whale Beach, Palm Beach, Bayview, Warriewood, Warringah, Narrabeen, Collaroy, Dee why, DY, Narraweena, Beacon Hill, Cromer, Wheeler Heights, Allambie Heights, Frenchs Forest, Belrose, Terry Hills, Elanora Heights, Forestville, Killarney Heights, Davidson, Brookvale, Curl Curl, North Curl Curl, Brookvale, Warringah Mall, Manly Vale, Seaforth, Clontarf, Balgowlah, Fairlight, Harbord, Freshwater, Queenscliff, Manly, Sydney NSW, CBD City, Central Coast and Wollongong since 1987 and would love to help you take a natural approach to your health. 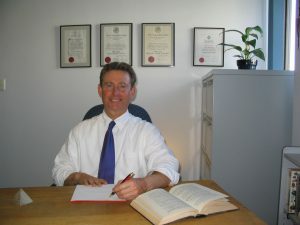 We value your privacy and ensure that all our consultations are totally confidential.